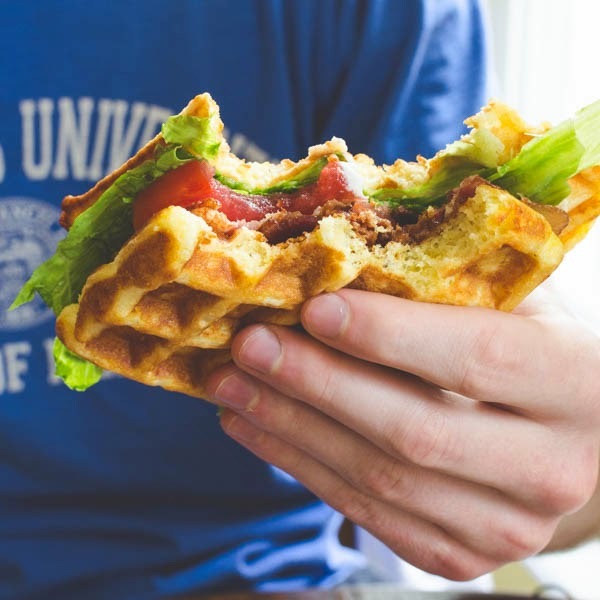 I've always been a pancakes-over-waffles kind of girl. I recall this even being an important subject for discussion amongst friends way back when I was in high school (I was evidently one for profound and important discussions back in the day). In recent years, however, I've gained an appreciation for waffles; I think their versatility and charming molding has entrapped me. 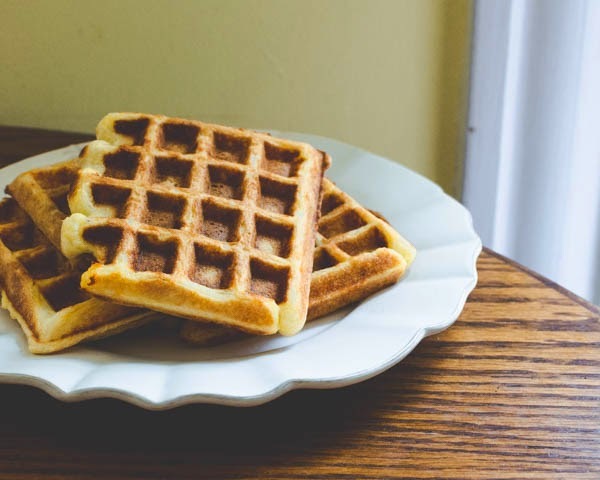 When my sister sent me this list of surprising foods you can make in a waffle iron (click the link; you know you love a good Buzzfeed list), just about everything on the list got mentally filed away under "foods to make." That waffled bibimbap? How soon can you get me to South Grand for those special ingredients? 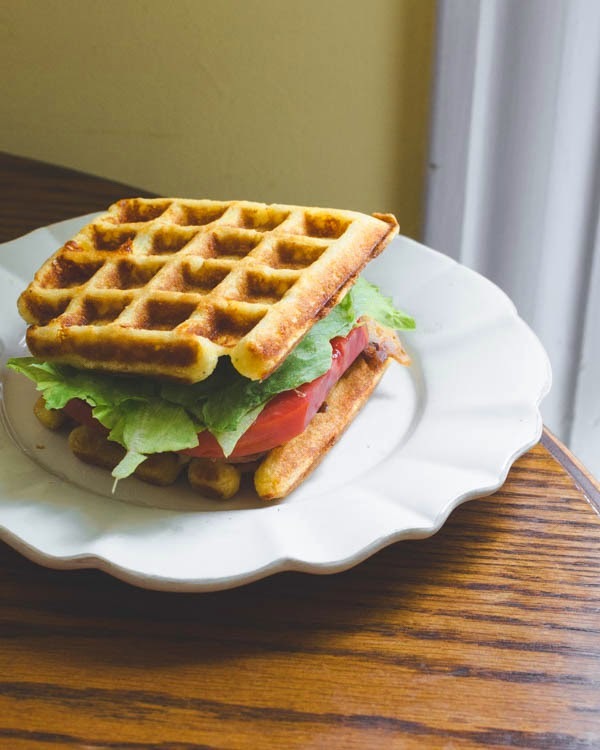 These waffled sandwiches play right into that gussied up versatility and charm that have made waffled things so popular. They are crisp on the outside and cheesy on the inside, and they pair perfectly with the last of your garden tomatoes and some thick cut bacon. One part cheesy comfort food, one part fresh produce, and one part hipster flair, these sandwiches are ready to transition you into this first day of fall. In a medium bowl, combine the melted butter, eggs, and buttermilk. In a large bowl, whisk together flour, baking powder, baking soda, salt, sugar, and pinch of pepper. Cook waffles according to machine instructions. 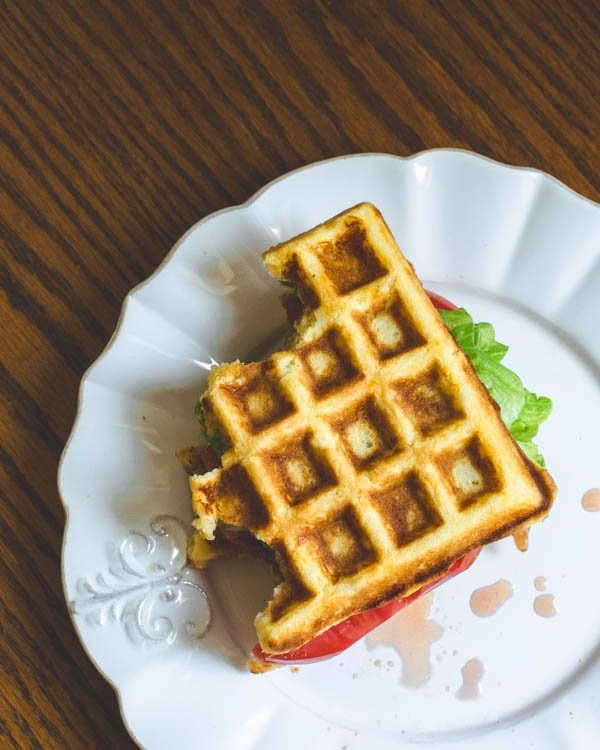 If you have a really old waffle iron that does not heat very well, you might want to give them a few extra minutes to get plenty golden and crispy. To bake bacon, line a rimmed baking sheet with aluminum foil. Spread strips of bacon in a single layer across the baking sheet. Place baking sheet in a cold oven and set the oven to heat to 375 degrees. Bake for 20 minutes or until the bacon is crispy. Drain on a plate lined with a paper towel. 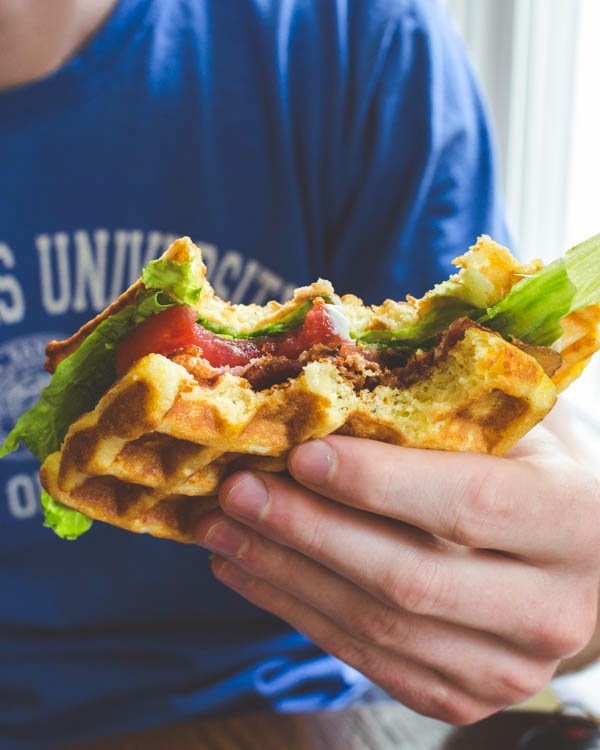 Assemble the sandwiches: two waffles, mayo, crisp bacon, greens, and sliced tomato.